On a recent trip to Glasgow the BFM had the pleasure of meeting three generations of the family that own and run Mr Singh’s and enjoying the quality food served their-in. 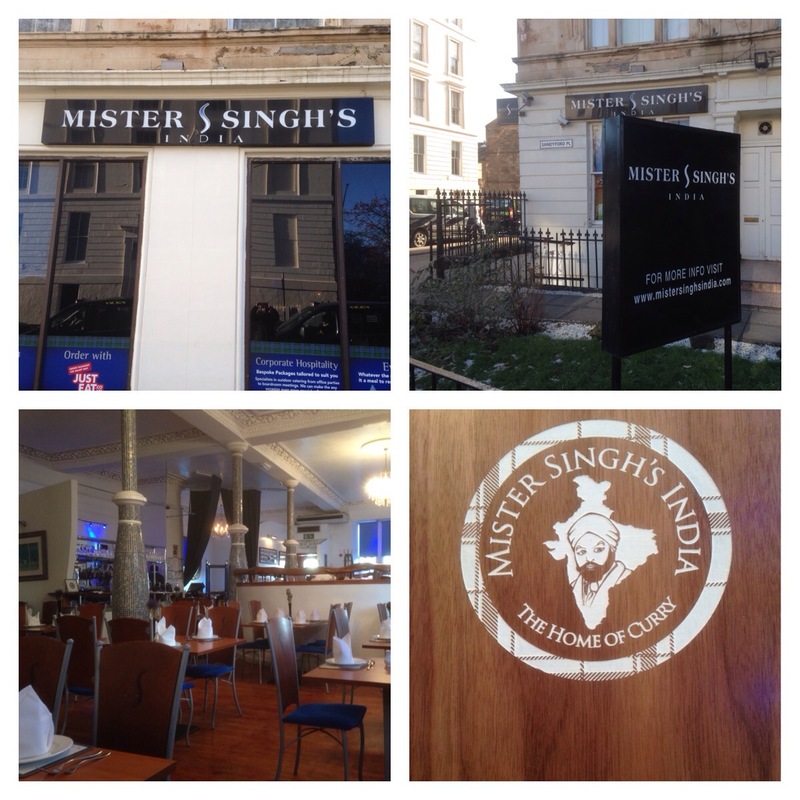 The original Mr Singh and his sons opened this contemporary, fusion Indian restaurant with a Scottish twist, in September 1994. Now the grandsons are also involved. 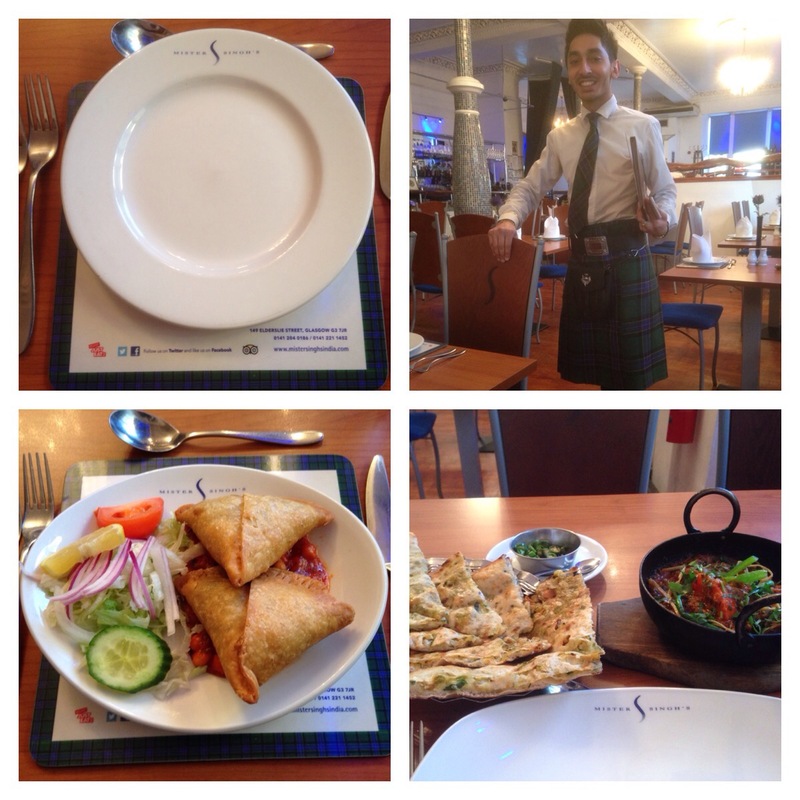 The restaurant marries Scottish staples such as haggis, thistle and tartan and incorporates it into fine Indian cuisine, decoration and dress respectively. By this is meant haggis is cooked in different Indian styles, thistles adorn the tables as elegant table decoration and some of the waiters wear tartan kilts!! The tartan is MacRae or now dubbed McCurry!! I had a starter of haggis, neeps and tattie samosas (x2) on a bed of sweet and sour chick peas with a simple side salad, followed by a main course of chicken tikka ginger chilli bhoona accompanied by the Papa Singh’s nan. 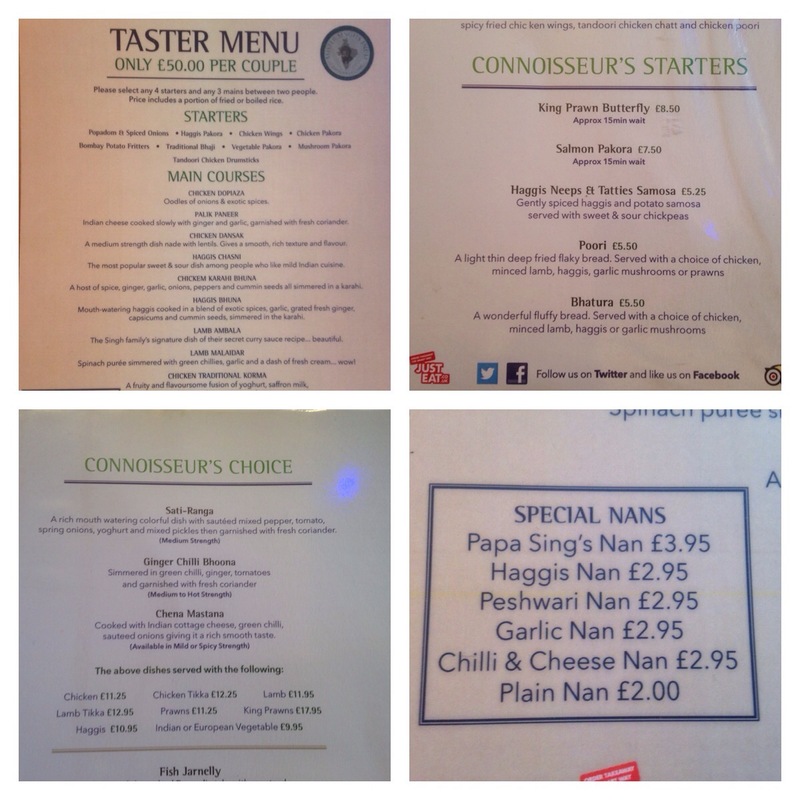 The starter and main course are from the Connoisseur range and the nan is a speciality (from the Taster Menu). The samosas were freshly made and the combination worked very well ie the richness of the samosas was complimented very well with the tartness of the chick peas. The bhoona was exceptional. There were juliennes of ginger tempered with chilli and spices and cooked with chicken tikka in a thick sauce. The nan was amazing filled with cheese, onion, coriander and chicken tikka. There are of course many other dishes both traditional and restaurant specific.The food and service was exceptional, a true testament to the whole family. Definitely one of the finest Indian restaurants in Glasgow, with a couple of unique touches. A restaurant frequented by many a sports star from the world of golf and football alike. This restaurant is a true, bona fide Indian restaurant which is owned by and run by Indians and food also cooked by Indian chefs.